by Jane Resh Thomas. 1998. Dense, detailed, drenched in history. Jane’s passion comes through every intimate detail. I wonder if it shouldn’t have been YA. I could imagine my 9yr-old son asking, “What’s a lover, Mom?” And the sheer density of information: all the political intrigues, much pre-understanding about the times assumed ... it screams YA to me. As a former student of Jane's, I can see many of JRT’s writing habits: powerful verbs, clear sentences, no improper referents. These (hahahaa!) do make for a forward-moving style. The great complexities of Elizabeth’s story are communicated with stunning clarity and depth. Whine of the day: Not enough pictures, and if a publisher were going to do such a heavy book, why not do the whole thing in color? I used to do graphic design - color doesn't cost that much more. Not these days. 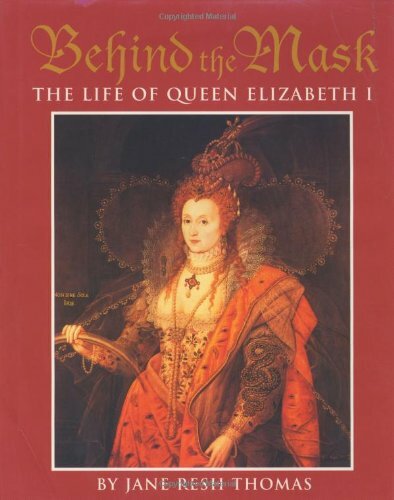 Prodigious research both into Elizabeth’s person as well as the times during which she lived. All I can say is Wow.